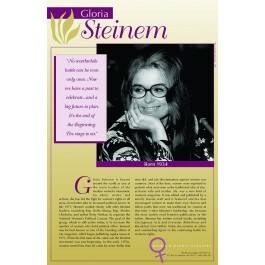 This poster of Gloria Steinem features a photo, a quote, and a brief biography of this famous women's rights activist. 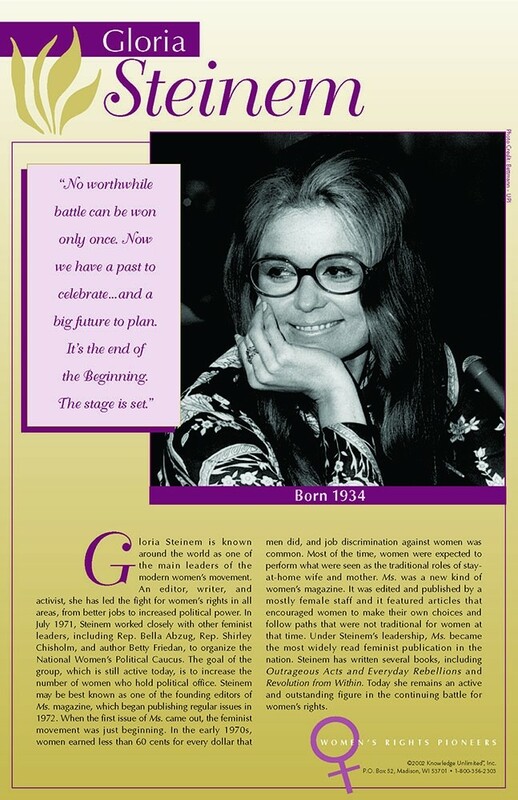 Gloria Steinem became well-known as one of the leaders of the women's rights movement in the 1960s and 1970s. She remains one of the leading voices in the battle for women's rights today.